Hey! Are you struggling with thinking to start a blog? Or you may have been putting it off thinking this could end up with a huge mess. If the scenario is so, that’s great, you are in a right place! I’m really glad you’re here! In this whole post, I’ll show you the exact ways to create your own blog without any technical knowledge. Before going into the prime discussion, I would like to talk about some crucial issues regarding the topic. Today, in this global community blogging has become a trend. No matter how and whatever the reason, you are blogging or want to start a new blog. In other words, everyone around has a blog. But the thing is only a few people are in the solid track and most of them are struggling to find a solid way. There are many ways to explain the word “blog”. The background of blogging says that it started out as online diaries in the 90s, blogging has grown into a massive, versatile, and endlessly varied form of communication. Blogs can be short storytelling in a written form, recipe hubs, fashion materials, role-playing games, or it can be UFO sightings. The purpose of a blog can vary one blog to another. They can help business advertise, educate customers, informing shareholders, technology guidance, inspire the community and so on. If you think of it and imagine about it, probably you would find it somewhere around you. In other words, from a literal point of view, a blog is an online journal or diary that is located on a website that focuses mainly on written content, also known as blog posts. In short, blogging is simply the act of starting and writing a blog! If you imagine blog as a wide pot, then blogging is the way to pouring the ingredients on that wide pot. Blogs are so omnipresent and a widespread matter, on the other hand, anyone how can type could be a blogger. To become a blogger, you don’t need to know fast typing, or even you don’t need to see or hear things. Even you can’t be too much old or too young in the field of blogging with no technical knowledge. Basically, the blog is a type of website where posts are updated regularly, display the most recent post first. It also allows readers to add comments and takes responses. 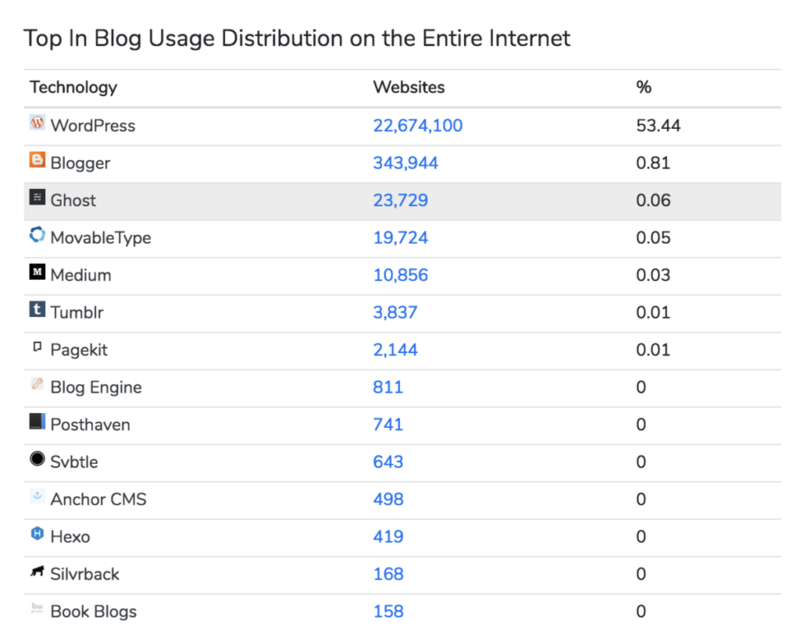 If you are still confused and not interested at all in blogging, please read the whole write-up. This will definitely add some value to your thinking. I promise the whole write-up to be simple, relatively easy, and definitely easy to understand (no stupid jargon). People actually blog for so many reasons. Blogging can help you to become a better writer, can make you earn money on the side, or it could provide you with a platform for sharing your ideas. Moreover, there is a misconception about starting a blog is that you need to be an awesome writer to be successful in blogging. That’s not a solid concept at all. Blogging can create a way to network with other people by sharing the common interest. The blog can promote any business by executing different marketing policies and advertising business. You can be a publisher if you can establish a stable blog site. Through blogging, you can make a difference by sharing effective political and social issues. It could be a portfolio of yourself that would work as a resume for highlighting expertise. Make a way to express creative ideas. You can learn lots of thing by sharing with others. Ultimately, you can make money as a passive source or it could be a full-time career for you. These are some basic reasons that you need to know about blogging. Most importantly, the internet is exploiting all over the world more than ever. This explosion means the more readers for your blog. In short, this is the right time to start a blog. 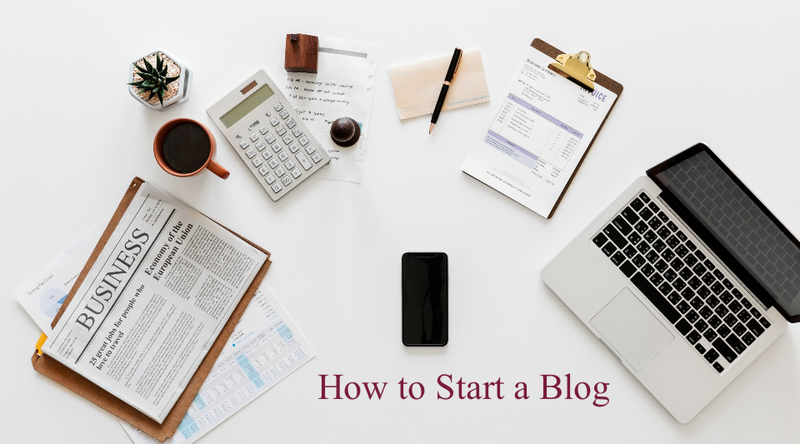 Now, how can you start a blog? There are five main steps you need to maintain in order to start a blog. If you can follow exactly the way I am telling you, you will have your own blog set up within an hour. One thing keeps in mind that you don’t need to have any technical knowledge before starting a blog. Don’t get panic! I will walk you through all the ways. Follow the step by step process I am describing below. This is a crucial issue as it’s the most prior thing to do. Most novice bloggers don’t follow the topic first. They start their journey after launching the site. But reality says you should choose a domain mane according to your site topic. It’s wise to choose a topic or area of working first then create a domain name according to that niche. In a niche site, usually, a specific topic is selected for the blog. The only single topic would cover on the niche based blog site. On the other hand, in an authority site, multiple topics can be selected for your blog. There is a mixed flavour on an authority based blog site. Moreover, someone can start a niche site and after a while, it can be turned into an authority site. In short, an authority site is based on multiple niche topic. Interior House or Office Decoration ➡️Different tips and tricks that are made for decorating houses or offices. Travel ➡️ Vacation, best places to travel, restaurants entertainments, and RV blogging. Fashion ➡️ Clothing, makeup, beauty products, hair and skin. Technology ➡️ Software, startups, web design and development, programming. Business ➡️ Different business materials and principles, industry updates, real estate, expert guides with best practices. Content Marketing ➡️ Writing on different topics, how to raise your business, best SEO practices, email campaigns. Food ➡️ Recipe sharing, restaurant and kitchen equipment. Health & Fitness ➡️ Sports equipment, gym equipment, nutrition, exercise, dieting. Finance ➡️ Money, budget and industry happenings. Lifestyle ➡️ Gardening, home decoration, organize things, travel, survival, motivation. Personal Development ➡️ Skill development, time management, health awareness, mindfulness. Parenting ➡️ Child development, family issues. Professional & academic ➡️ Different educational issue that is relating to the profession and academic section. Teaching & learning ➡️ Tutorial based, mostly educational. Entertainment ➡️ Fun, humor, memes, videos, music, podcast, and movie. These are few important blog topics for your blog topic selection. This is the exciting part of starting a blog! The Domain Name is your personal blog address where people can find your awesome posts and articles. For instance, Facebook’s domain name is www.facebook.com. Your blog domain name will be the same as Facebook as www. YourBlogName.com. Basically, domain is the appearance of your blog, people will know and find out your blog using a domain name. Usually, the cost of a domain name is $10/year. Be careful when you are about to choose your domain. Make sure that you are dealing with the right company. On the other hand, Web Hosting is the places where your blog stands. This will be the home of your blog address. This is the place where the domain is used to identify your blog. Without the hosting, you can’t implement your domain on the web. Think of the memory of your computer that stores all the data on your computer. The cost of a stable web hosting usually in between $110-15 per month, but sometimes you can get up to 70% discount by dint of a coupon code. Once you have set up your blog domain hosting, you need to choose a blogging platform. There are multiple options out there for starting your blog. I always recommend WordPress to take as a blogging platform. In WordPress, you can sign up for free. The most important part of WordPress is it’s beginner friendly platform that comes with tons of freemium themes and plugins to choose from. Moreover, WordPress covers over 50% of total blogs on the internet including 54% of the top hundred company blogs. It also powers 27% of all websites online today. So, it would be wise to start your blogging journey with WordPress platform. This is pretty simple, fast, and most reliable for the bloggers. There are two types of WordPress platforms to choose from. One is WordPress.com and another is WordPress.org. You can select WordPress.org as the platform. Because WordPress.org is fully free to use and it provides unlimited themes and plugins to use. The only thing you have pay for hosting. After choosing your platform, install a new WordPress theme to getting started to your blog. Less is better, start with the minimal theme. That also boost your speed and mobile friendliness. After setting up your blog, you are now ready to start using WordPress and customizing your blog. As you are using WordPress as a platform, it would be pretty easy and fun doing at the same time. WordPress uses design templates called WordPress Themes to figure out the appearance of your blog. It means it defines how your site should look. Changing and customizing your blog’s appearance is as simple as installing a new WordPress. There are tons of free and premium themes in the marketplace, you can choose any one of them as your choice. You can customize your blog using theme options from the sidebar of your admin panel. You can customize and start tweaking your blog. Using sidebar, you will get a bunch of options out there. Akismet – This plugin is used to prevent junk comments filling your blog. WP Super Cache/WPFastest Cache – This is used to speed up your blog. Yoast SEO – This tool is used to optimize your blog for search engines. Using plugins is always a crucial part of WordPress. You need to be careful when adding plugins because they impact on your website’s speed and security. Keep your plugin up-to-date and WordPress usually notify for each plugin’s update. Keep your eyes close to this notification. As a blogger, you should have a proper plan or idea of what you want to write about before dive into the deep. Don’t worry! Content strategy isn’t rocket science but proper planning can make you able to stand out from the mess. In this stage, you need to fix in what way you want to reveal or demonstrate on your blog. After choosing the blog topic, imagine about your audience, who they are and how they will accept your presentation. After targeting your audience, try to publish quality post according to your selected niche topic. You can make a schedule for writing your blog that will help you build traffic and keep yourself up to date. Scheduling can build readership on your blog and you can encourage your readers to visit your blog regularly. Moreover, scheduling enriches the power of habit. Just like going to the gym, you will get into the habit of regular writing. There is no limit of publishing your blog post, it totally depends on the blog topic, audience, and your goals. Creating a well-designed blog and writing posts on it is just a beginning of a long way. In order to reach your target audience for growing your blog, you need to spend time on promoting your blog on different media. One of the most important and popular ways to get your readers is to share post links on your social media accounts like Facebook and Twitter. This is absolutely great because not only do your friends share and see the link but also your friends mutual will see the post link. If you publish high-quality contents on your blog then social media is a great way to promote your and make things viral. You also cover a lot by adopting email marketing services. If you want to get new readers, email marketing plays a vital role in this respect. When you publish new posts you can notify them by email. This post is for those who are about to start a new blog but still in a confused state about how to start. This is a pretty beginners guide and I will write on advanced blogging materials in my next approach. I hope this post has answered any basic question you had on your mind about starting a blog. In fine, I would like to say that blogging is a very smart platform and if you dedicate yourself in blogging it could able to reach you in the apex of success. Last but not least, when it comes to starting a new blog, there is a steep learning curve, and you have to work hard to overcome those steep curve, but don’t give up at any point! But if any of the steps were obscure to you, don’t feel any hesitation to ask me leaving a comment below. I would love to answer all of your questions.